Sounds exciting doesn't it? Bring 'em on! 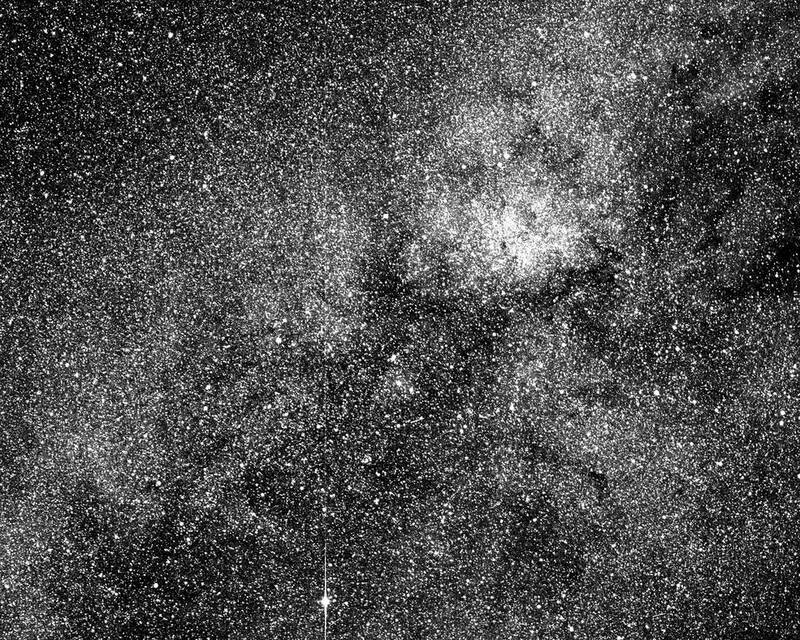 "NASA announced on Friday that it will be granting $200 million in funding to MIT’s Transiting Exoplanet Survey Satellite (TESS). The goals of TESS are straightforward, but hard to do: they’ll be widening by a huge order of magnitude the search for planets outside our solar system...."
The best part about TESS is that it will excel at finding Earth sized rocks in habitable zones. <<TESS of the d'Urbervilles is commonly believed to be the most depressing book ever written in the English language. Hardy's writing often illustrates the "ache of modernism", and this theme is notable in TESS, which, as one critic noted, portrays "the energy of traditional ways and the strength of the forces that are destroying them". Hardy describes modern farm machinery with infernal imagery; also, at the dairy, he notes that the milk sent to the city must be watered down because the townspeople cannot stomach whole milk. Angel's middle-class fastidiousness makes him reject TESS, a woman whom Hardy often portrays as a sort of Wessex Eve, in harmony with the natural world. When he parts from her and goes to Brazil, the handsome young man gets so ill that he is reduced to a "mere yellow skeleton". All these instances are typically interpreted as indications of the negative consequences of man's separation from nature, both in the creation of destructive machinery and in the inability to rejoice in pure nature. 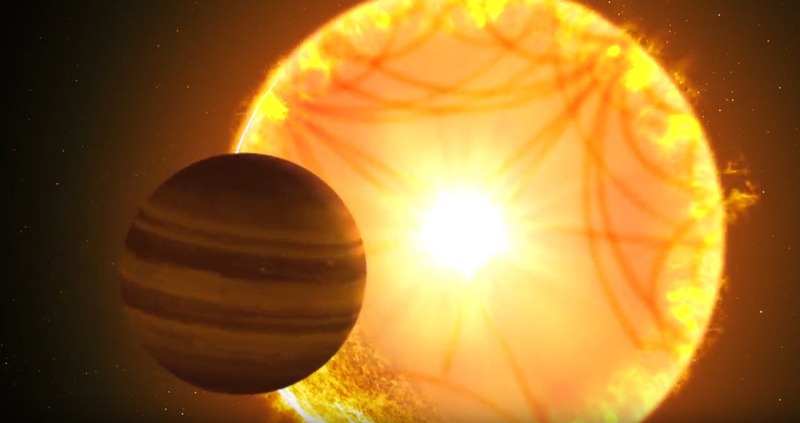 Once launched, the telescope would conduct a two-year all-sky survey program for exploring transiting exoplanets around nearby and bright stars. TESS would be equipped with four wide-angle telescopes and charge-coupled device (CCD) detectors, with a total size of 192 megapixels. Science data will be processed and stored for three months onboard, and only data of interest will be transmitted to Earth for further analysis. Data collected by the spacecraft are also stored for three months, enabling astrophysicists to search the data for an unexpected, transient phenomenon, such as a gamma-ray burst. The survey will focus on G- and K- type stars with apparent magnitudes brighter than 12. Approximately 2 million of these stars would be studied, including the 1,000 closest red dwarfs. TESS is predicted to discover 1,000 - 10,000 transiting exoplanet candidates which are Earth-sized or larger, with orbital periods of up to two months. These candidates could be later investigated by the HARPS spectrometer and the future James Webb Space Telescope. The development team at MIT is so optimistic about the mission that they have suggested that the first manned interstellar space missions may be to planets discovered by TESS. Edward Guinan, a professor of astronomy and astrophysics at Villanova University in the USA, and his “Sun-in-Time” project team have studied stars that are analogues of the Sun at both early and late stages of its lifecycle. These “solar proxies” enable scientists to look through a window in time to see the harsh conditions prevailing in the early or future Solar System, as well as in planetary systems around other stars. These studies could lead to profound insights into the origin of life on Earth and reveal how likely (or unlikely) the rise of life is elsewhere in the cosmos. This work has revealed that the Sun rotated more than ten times faster in its youth (over four billion years ago) than today. The faster a star rotates, the harder the magnetic dynamo at its core works, generating a stronger magnetic field, so the young Sun emitted X-rays and ultraviolet radiation up to several hundred times stronger than the Sun today. Guinan explains a surprising realisation that emerged from their work: “The Sun does not seem like the perfect star for a system where life might arise. Although it is hard to argue with the Sun’s ‘success’ as it so far is the only star known to host a planet with life, our studies indicate that the ideal stars to support planets suitable for life for tens of billions of years may be a smaller slower burning ‘orange dwarf’ with a longer lifetime than the Sun ― about 20-40 billion years. These stars, also called K stars, are stable stars with a habitable zone that remains in the same place for tens of billions of years. They are 10 times more numerous than the Sun, and may provide the best potential habitat for life in the long run”. He continues: “On the more speculative side we have also found indications that planets like Earth are also not necessarily the best suited for life to thrive. Planets two to three times more massive than the Earth, with a higher gravity, can retain the atmosphere better. They may have a larger liquid iron core giving a stronger magnetic field that protects against the early onslaught of cosmic rays. Furthermore, a larger planet cools more slowly and maintains its magnetic protection. This kind of planet may be more likely to harbour life. I would not trade though ― you can’t argue with success”. Before I thought looking for a star like the Sun was the best way to find another Earth. But it looks like there are several reasons why TESS is looking at G & K stars. One being they are hot and bright enough for further analysis by ground based scopes where as the data from Kepler is not as helpful in that regard. TESS’s cameras, designed and built by MIT’s Lincoln Laboratory in Lexington, Massachusetts, and the MIT Kavli Institute, monitor large swaths of the sky to look for transits. Transits occur when a planet passes in front of its star as viewed from the satellite’s perspective, causing a regular dip in the star’s brightness. 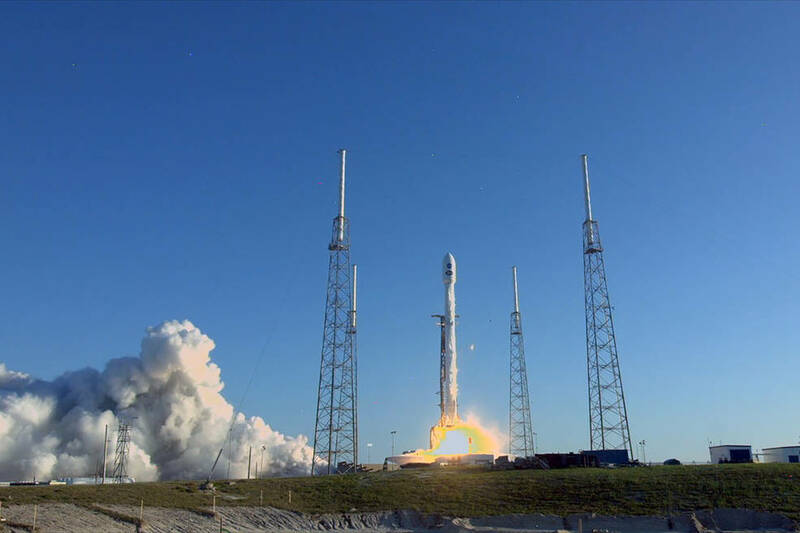 In April 2018, NASA launched a new satellite named Transiting Exoplanet Survey Satellite (TESS) to discover new exoplanets around stars near the Sun. TESS finds exoplanets by observing planetary transits, a phenomenon in which a planet passes in front of its host star and blocks part of the star's light. Transiting exoplanets are especially valuable targets for exoplanet studies, since they provide information about the true mass, radius, density, orbital obliquity, and atmosphere of such planets. 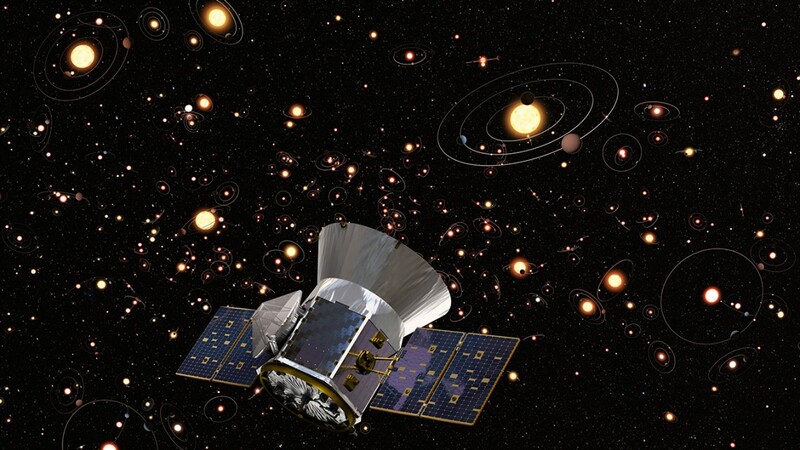 <<Transiting exoplanet candidates discovered by TESS are not always real planets. An eclipsing binary, a pair of stars orbiting and eclipsing each other, can also produce transit-like signals. For the TESS mission, the false positive rate caused by eclipsing binaries is predicted to be 30-70% depending on the direction observed. Follow up observations can help distinguish actual exoplanets from false positives. Next is LHS 3884b, a rocky planet about 1.3 times Earth’s size located about 49 light-years away in the constellation Indus, making it among the closest transiting exoplanets known. The star is a cool M-type dwarf star about one-fifth the size of our Sun. Completing an orbit every 11 hours, the planet lies so close to its star that some of its rocky surface on the daytime side may form pools of molten lava. 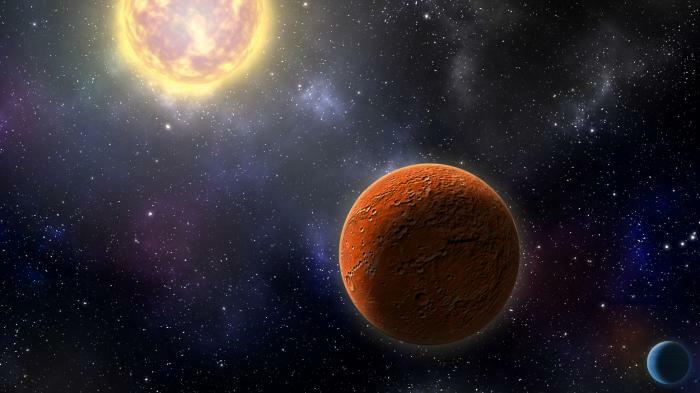 The confirmed planet, HD 21749b, is about three times Earth’s size and 23 times its mass, orbits every 36 days, and has a surface temperature around 300 degrees Fahrenheit (150 degrees Celsius). ... It is the longest-period transiting planet within 100 light-years of the solar system, and it has the coolest surface temperature of a transiting exoplanet around a star brighter than 10th magnitude, or about 25 times fainter than the limit of unaided human vision. <<Pi Mensae (π Men), also known as HD 39091, is a yellow dwarf star in the constellation of Mensa. This star has a high proper motion. The apparent magnitude is 5.67, which can be visible to the naked eye in exceptionally dark, clear skies. It is nearly 60 ly away. The star is slightly larger than the Sun in terms of mass, size, luminosity, temperature, and metallicity and is about 730 million years younger. It hosts two planets. On October 15, 2001, an extrasolar planet was found orbiting the star. Pi Mensae b is one of the most massive planets ever discovered, and has a very eccentric orbit that takes approximately 2,151 days (5.89 years) to complete. Because of its eccentricity, and being a massive superjovian that passes through the habitable zone, it would have disrupted the orbits of any Earth-like planets, and possibly thrown them into the star, or out into the interstellar medium. Incorporating more accurate Hipparcos data yields a mass range for the companion to be anywhere from 10.27 to 29.9 times that of Jupiter, confirming its substellar nature with the upper limit of mass putting it in the brown dwarf range. 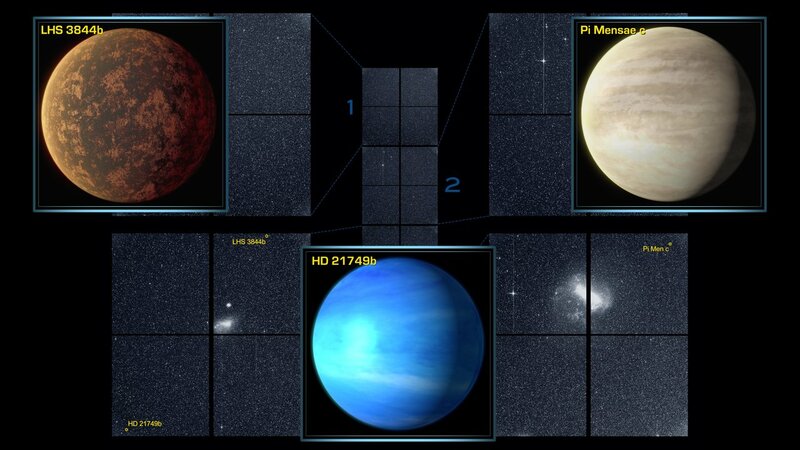 Pi Mensae was ranked 100th on the list of top 100 target stars for the planned (but now canceled) Terrestrial Planet Finder mission to search for Earth-like planets. 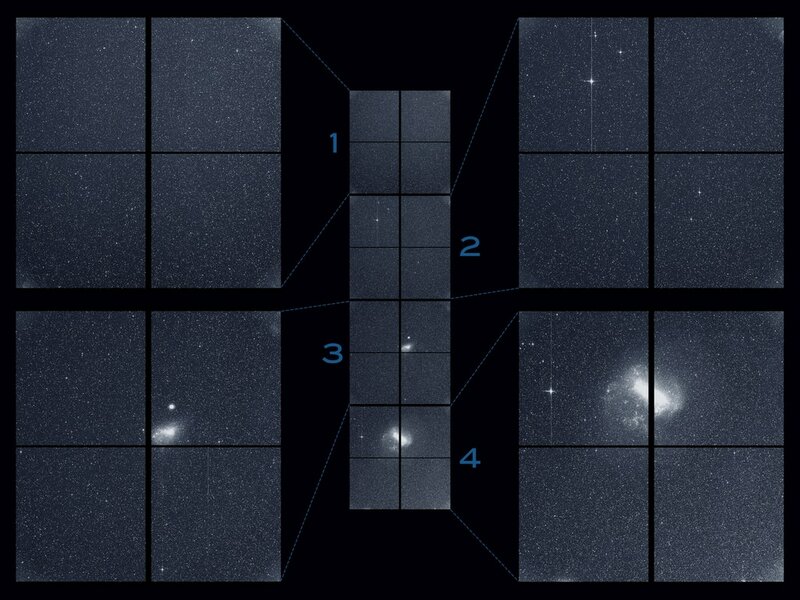 Astronomers who study stars are providing a valuable assist to the planet-hunting astronomers pursuing the primary objective of NASA’s new TESS Mission. 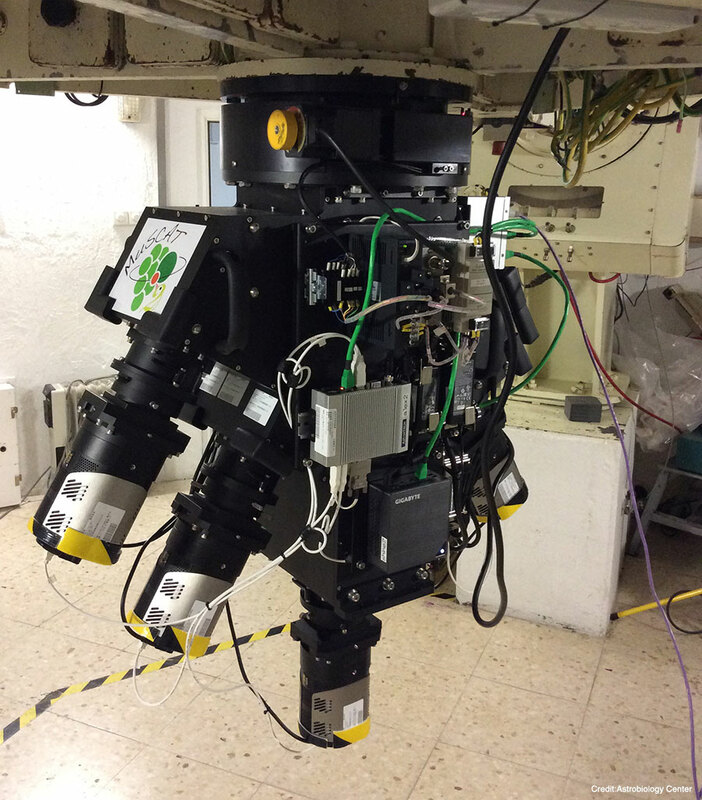 One such tool, the Planet Finder Spectrograph (PFS) on the Magellan II telescope at Carnegie’s Las Campanas Observatory in Chile, was a crucial component of this effort. It helped confirm the planetary nature of the TESS signal, and to measure the mass of the newly discovered sub-Neptune.